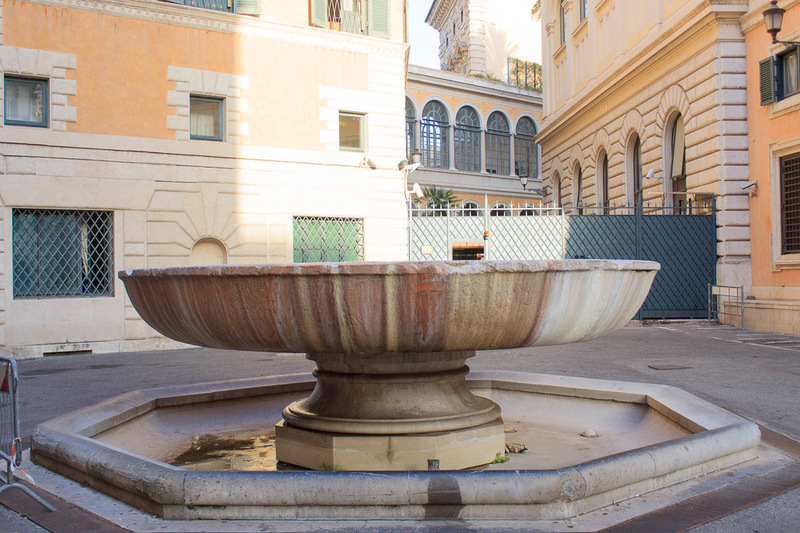 The Thermae Alexandrinae Fountain is a simple bowl fountain located a block east of the southern end of Piazza Navona. 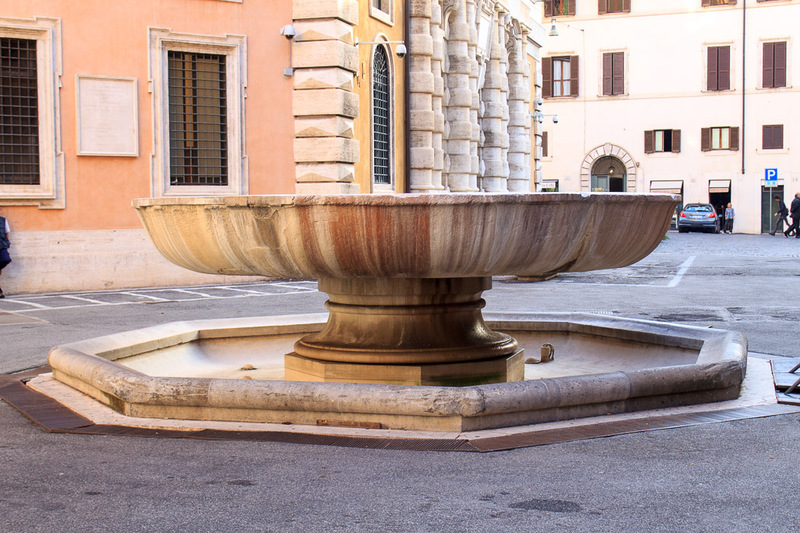 The fountain was dry when I visited it in October of 2014. See all Thermae Alexandrinae Fountain photos.